DEBUTING WITH A SURPRISING PRICE! 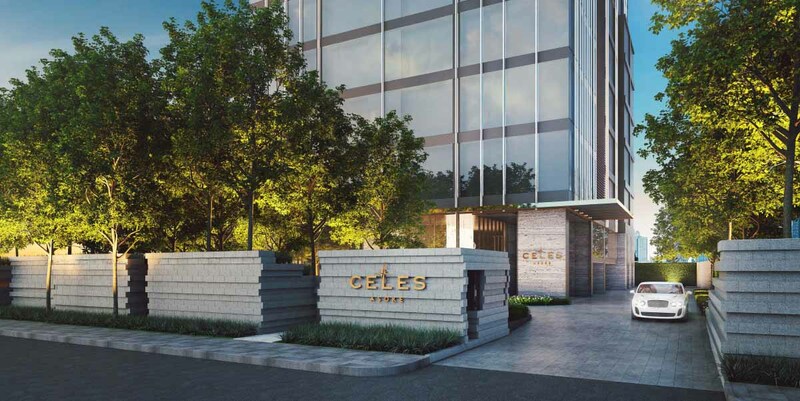 CELES ASOKE WILL BE UNVEILED WITH AN AVERAGE PRICE OF THB 255,000 PER SQM. A new phenomenon in the luxury condominium market is happening in the Asoke-Sukhumvit area known as “CELES Asoke”,a new luxury condominium in a super prime location in the heart of Bangkok’s CBD with an average price per square meter is only THB 255,000, reflecting a non-marked up price in the luxury market. Another surprise is the project’s irresistible terms of payment. 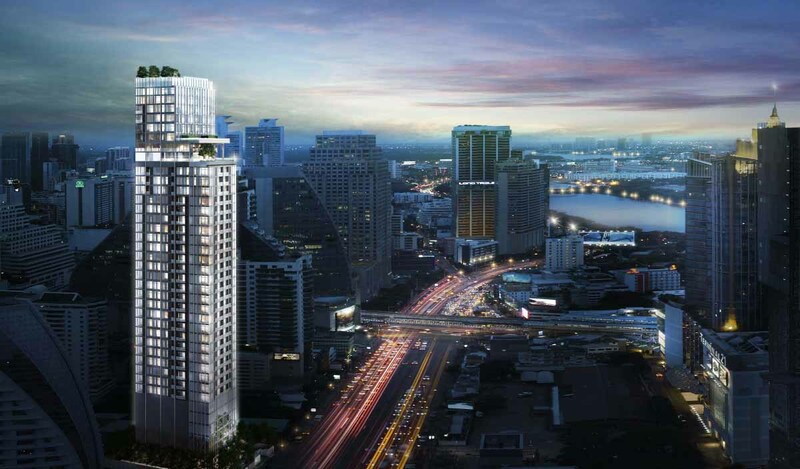 The THB 3.6 billion 40-storey condominium features a timeless and elegant design. CELES Asoke is the only luxury condominium which offers super luxury facilities. Presales will take place on 16 September 2017, for one day only, at the Grand Center Point Terminal 21. Sukhmeet Bajaj, Managing Director of Lucky Living Properties Company Limited, organized a press conference for CELES Asoke, joined by Aliwassa Pathnadabutr, Managing Director of CBRE (Thailand) Company Limited, the project’s marketing and sales consultant, together with the project’s business partners, all of which are major players in the real estate industry, namely Architects 49, Shma Co., Ltd, and Design Worldwide Partnership (dwp). 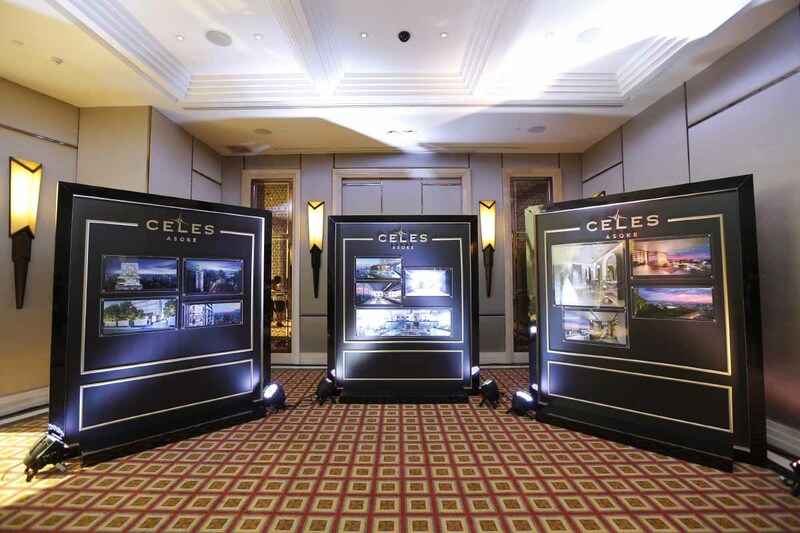 The press conference began with the announcement of the launch of CELES Asoke, presenting a new marvel in the luxury condominium market with an average price of only THB 255,000 per square meter, which is the actual non-marked up price in the Asoke-Sukhumvit area. The price will undeniably stimulate the demand for this one-of-a-kind luxury condominium. Sukhmeet then continued to say, “Lucky Living Properties Company Limited’s strategy is to develop luxury products that truly meet the needs of the market.” Over the years, the company has developed luxury condominiums in prime spots, such as LIV@49 which has already been completed and has received great feedback from buyers. 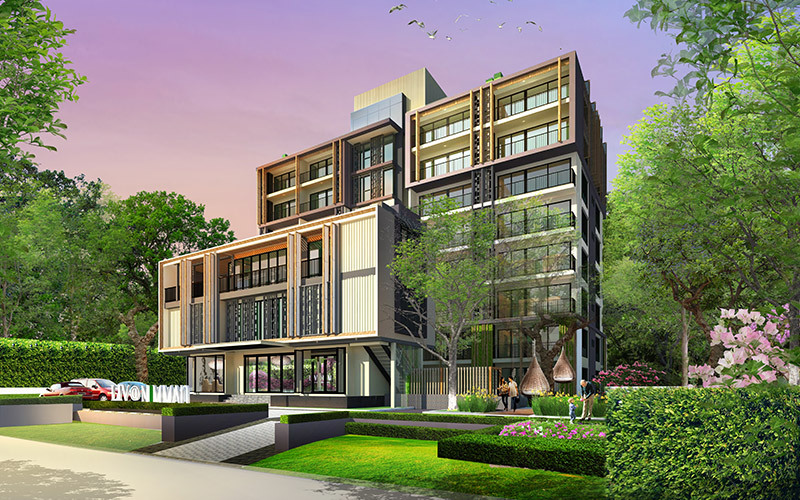 “The development of CELES Asoke is special because of its super prime location. 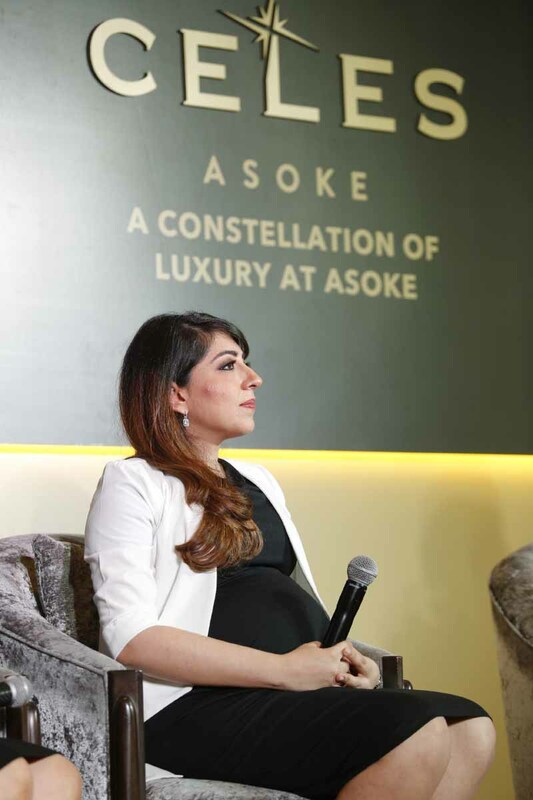 We thoroughly researched the market, paid attention to the lifestyle of our residents, and have added special technology and innovation to facilitate their every activity,” said Sukhmeet. 1. Place: CELES Asoke is located on a super prime location near the Asoke-Sukhumvit Intersection, near both the BTS and MRT train stations. It is on Asoke Road near Sukhumvit Road, where the traffic flows well. It is conveniently accessible via many roads, unlike other parts of Asoke. Additionally, the Asoke-Sukhumvit area, which is Bangkok’s leading CBD, has many premium office buildings and malls, all of which have more than a 90% occupancy rate. There are many residential buildings in this area that cater to the growing demand. The rental rates and turnover rates are very impressive in this area, and there are many facilities such as department stores, community malls, restaurants, art galleries, schools, wellness centers, and public parks. A luxury condominium on such a prime location is great for both investment and own stay, as it makes a great asset for future generations. 2. Price that appeals to luxury condominium investors: Reflecting the actual market price of luxury condominiums in the Asoke-Sukhumvit area, CELES Asoke will debut with an average price of THB 255,000 per square meter; whereas, the average price of other condominiums in the same level on a super prime location is usually between high THB 200,000 to mid-300,000. 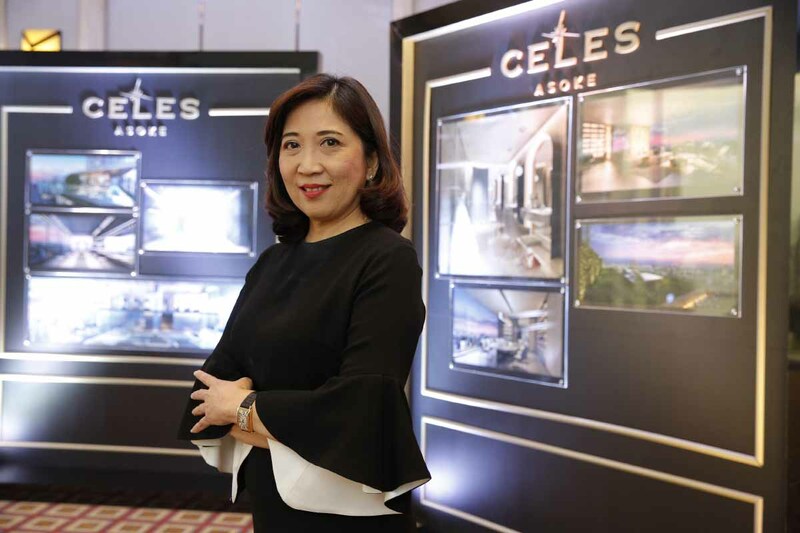 The pricing of CELES Asoke allows investors to generate more profits compared to other projects in the same level, and leasing yields better returns. What’s more, there are only 217 units, so the competition in leasing and resale is not as high as condominiums with several hundred units. 3. 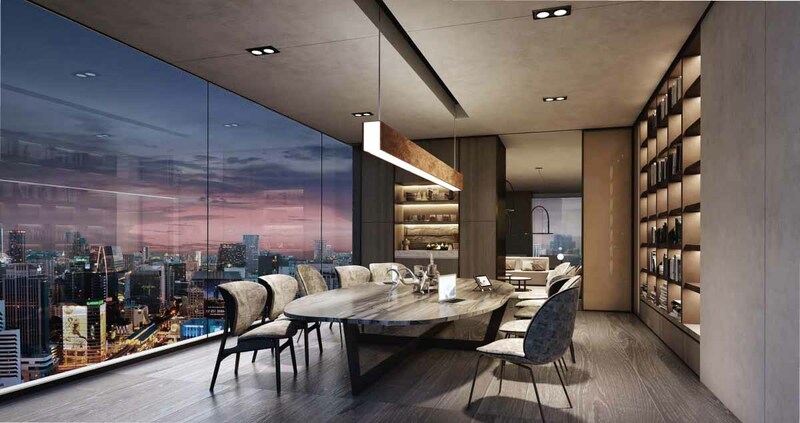 Product: CELES Asoke is 40 storeys high, excluding the roof top. The conceptual design is ‘Purified Sophistication’ – simple yet timelessly luxurious thanks to the structural glass wall which adds so much beauty to the building without affecting the structure, the design uses “Vertical Stainless Fins” along the sides of the building; these fins glisten in sunlight, making it look as luxurious as Dubai’s Burj Khalifa. The luxurious lobby is spacious with 5-meter high ceilings and a contemporary crystal chandelier. 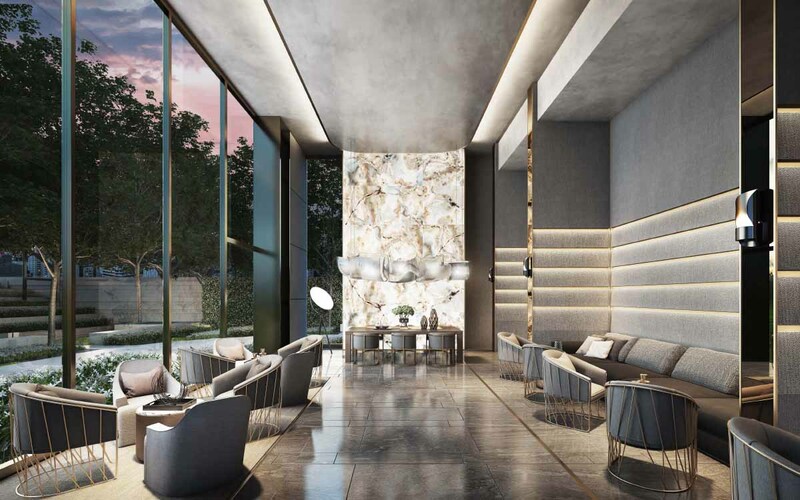 The walls were made with Italian Honey Onyx marble, which reflects light well and further adds to the glamorous vibe – only super luxury condominiums and five-star hotels use such material for their walls. The size of units is from 34.70 to 138.92 sqm. and unit types include 1- to 3-bedroom, 2-bedroom Crown Duplex, and 3-bedroom Crown Penthouse. Living rooms in all units have 3-meter high ceilings, with floor-to-ceiling glass windows – giving the room plenty of natural light and a spacious feel. Corner units are equipped with full panoramic corner glass to offer a full view of the city. Bathrooms are coated with Intelligent Glass Film which can be darkened when privacy is required. The project is equipped with super luxury facilities on Levels 33 and 34. Level 33 is Sky Water Club, which features a 25m swimming pool and rest area with floating daybeds, spa seats and pool beds, with a mesmerizing view of the city. Indulge yourself at Wet Spa, a water jet spa room which uses water pressure to release tension from daily stress. On Level 34, is where the Virtual Fitness is, a fitness room located on an elevated floor above the swimming pool. The walls are designed to change according to the user’s preference using Bluetooth connectivity. The Celes Residential Club is a common area lavishly decorated in grey, silver, and copper, Honey Onyx marble walls and luxurious furniture from world-class brands. There is a library which can be used as a meeting point or a rest area. Personalized Service Room is a private room which can be transformed into a dressing room before a night out. The Celestial Terrace on Level 35 is a lush green area in the sky where you can enjoy an unobstructed view of Bangkok’s skyscrapers and Benjakitti Park. On the top level is the Alfresco Rooftop, a party area on the roof top, designed as a Sky Barwith a barbecue counter and dining tables for you to host parties under the night sky, suitable for urbanites who enjoy being outdoor. The project’s landscape design is under the concept ‘City Block’, reflecting the project’s city center location, surrounded by modern facilities. The green area at the front is in a Step Planter design to offer a relaxing vibe and privacy amidst a bustling business area. 4. Terms of Payment: 1-bedroom units are THB 9 – 14.3 million, 2-bedroom units are THB 18.4 – 24.3 million, 2-bedroom Duplex units are THB 24 – 28.2 million, 3-bedroom Duplex units are THB 28.4 – 38.6, and Penthouse units are THB 35.7-38.3 million. The project also offers attractive terms of payment for Thais and foreigners who want to purchase the units for investment and own stay. Installments are THB 27,000 – 38,000 per month for 1-bedroom units, THB 58,000-65,000 per month for 2-bedroom units, THB 100,000 per month for 3-bedroom units, THB 90,000 per month for 2-bedroom Duplex units, and THB 125,000 per month for Penthouse units. CBRE wrapped up the press conference by sharing key insights in consumer behavior of buyers in the luxury condominium market. CBRE stated that most investors prefer 2-bedroom units. Premium market surveys show that there is greater demand than supply for 2-bedroom units; thus, leasing out this unit type is easier. High-end customers who purchase units for themselves also prefer 2-bedroom units for their families. The shift in consumer behavior has prompted developers to adjust their products to meet the needs of the market. 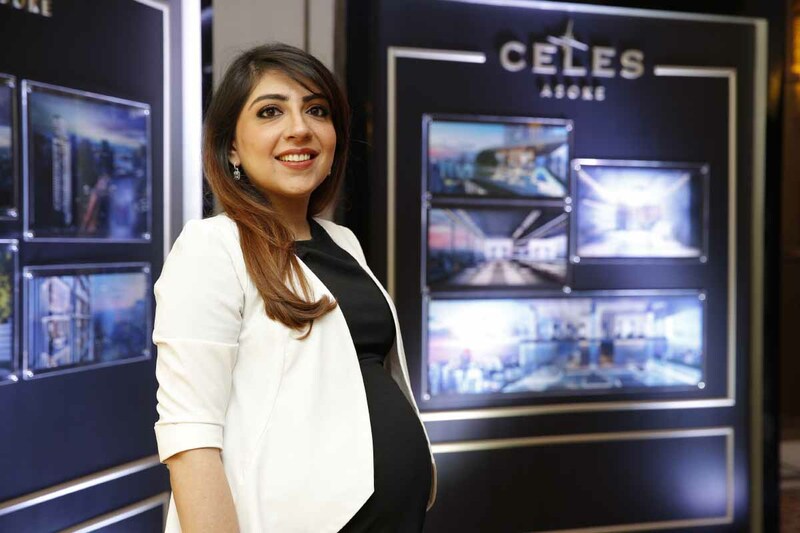 Over the past 3 – 5 years, not many projects have been able to meet all the needs of buyers and spectators; in contrast, CELES Asoke is a rare project that caters to every need in the market. Join the one-day-only presales event of CELES Asoke on Saturday, the 16th of September 2017 at the Grand Center Point Terminal 21. Register on www.celesasoke.com or call 02 259 4444.